Located just 10 minutes away from Marist lies the Lemongrass Thai Restaurant, a small Thai restaurant in a quiet neighborhood started in just 2011. Although unassuming from the outside, inside, the Lemongrass Thai Restaurant offers a genuine Thai feel that makes you know that you are somewhere authentic. The authenticity of the restaurant is the first thing that one notices upon entering the restaurant. Lining the walls were all sorts of traditional Thai ornaments and tapestries. Along with the feel inside the place, the service is great. Food comes fresh out of the kitchen in a surprisingly short amount of time, and there is always someone around making sure every part of your meal is perfect. Lemongrass offers a wide variety of food both on their lunch menu and dinner menu. Two of the most popular items on the menu according to a manager at the restaurant, are the Pad Thai and the Pad See Awe. “These are both simple easy noodle dishes.” He claimed, “Many people like these.” The portions offered for the Pad Thai and Pad See Awe are huge as well, easily offering another meal or two simply from the leftovers. Most entrees on the menu cost around 10.95, with only a few special entrees costing a couple dollars more here and there. Another dish worth trying is the Pad Gapow, a spicy blend of beef, chicken, or pork mixed with hot chili peppers and garlic in a spicy Thai sauce. Before ordering, you have an option of how spicy you would like it made, in case you can’t handle too much spiciness. Along with offering a wealth of delicious Thai appetizers and dishes, Lemongrass also offers a couple of interesting Thai beer selections. Recommended by the restaurant is Singha, a popular beer in Thailand. Also offered is the best selling beer in Thailand, Beer Chang. Both compliment the dishes at the restaurant well, and are worth checking out. When asked if he had any final words for any Marist Students looking for good Thai food in the area, the manager replied, “Just come in and try my food. I know you will like.” A bold statement, yes, but one that the Lemongrass Thai Restaurant strives hard to live up to. Due to the lack of quality Thai food in the direct vicinity of the Marist campus, Lemongrass offers a great spot to get away and enjoy a delicious, filling meal and a beer all at an affordable price. 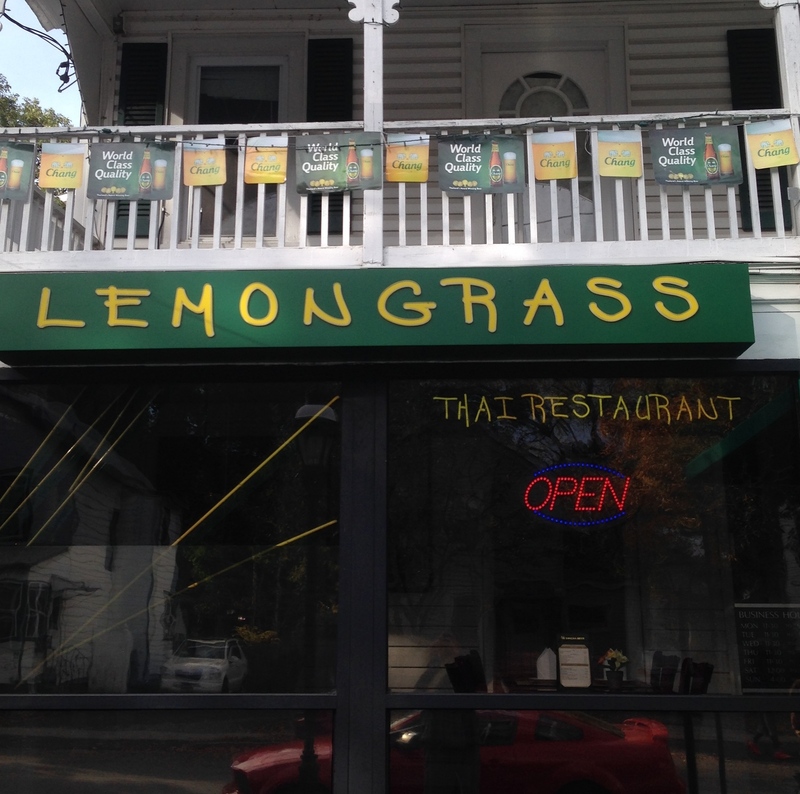 You can find the Lemongrass Cafe at 25 Langrange Avenue in Poughkeepsie. Weekdays Lemongrass opens at 11:30 am and closes at 9:30 pm and 10:30 pm on Fridays. Lemongrass is also open on weekends too, with reduced hours. You can reach the Lemongrass Cafe at (845) 454-2156.